Installing Japanese keyboards on non-Japanese computers has gotten much easier in the past ten years. No more special discs with complicated software. In fact, just about every computer has a Japanese keyboard ready and waiting inside of it. You just have to know how to get in there, turn it on, and make it work for you. That's where we come in. We get a lot of emails from people struggling to install and switch between Japanese keyboards. 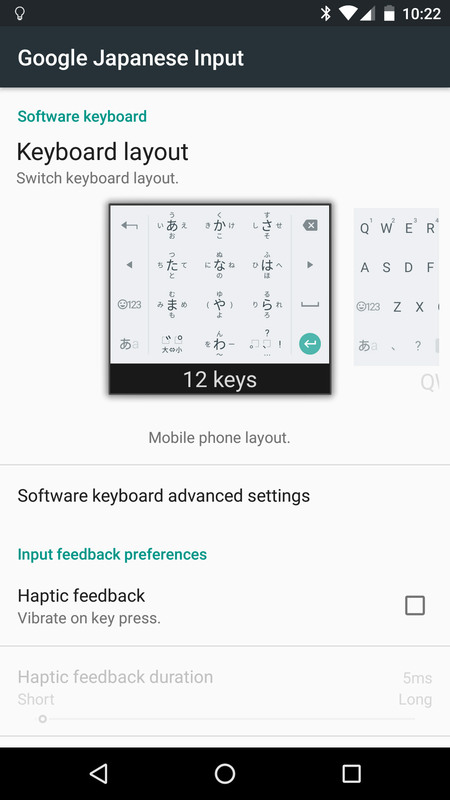 In this guide we'll show you how to install Japanese keyboard inputs, set awesome shortcuts for better productivity, and type anything you could ever want, all without needing a "real" Japanese computer or keyboard. If there's an apple on it, you've got a Mac. If not, you've a got a PC. Kidding aside, you probably already know what kind of computer you have. It's a really good thing to know. Go to System Preferences > Language & Region. Once in Language & Region, click the + (plus) sign under the Preferred languages box. It will bring up a list of languages. 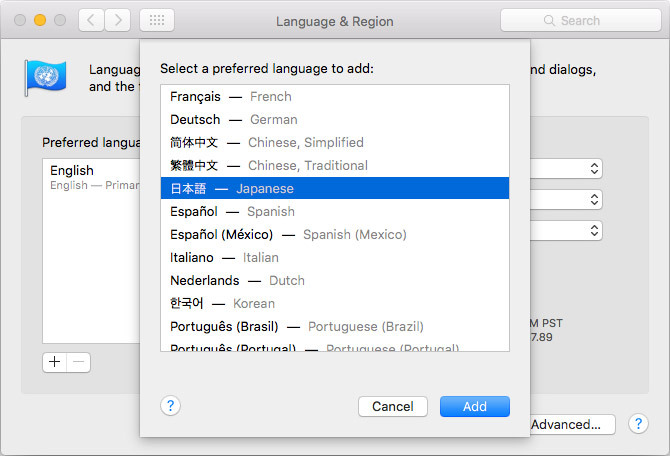 You'll get a prompt asking whether you'd like to change your primary language from English (or whatever it currently is) to Japanese. Unless you're fluent in Japanese, don't switch. Just choose Use English for now. Next click on Keyboard Preferences at the bottom. It will bring you to a menu called Input Sources. Click the + (plus) at the bottom left and choose Japanese and hit Add. Now you'll have the option to choose which inputs to use. You don't need anything else from this list because you're able to choose everything you need with these two alone. 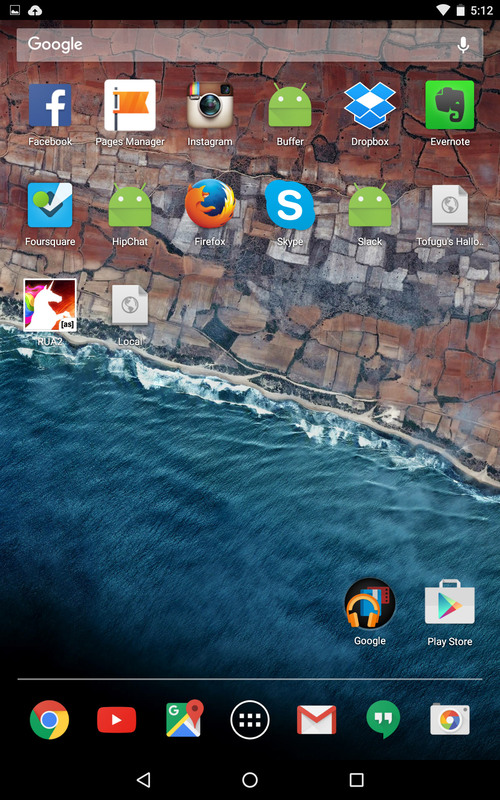 Now that you have your keyboards set up, you'll see them in the top right toolbar, right near the time. If you want to be a slow, sad person, you can drag your mouse up there and click through when you want to switch between your keyboards. Or, you can be an efficient Japanese beast switching from English to Japanese and back without even blinking! Shortcuts will show you the way. But now there's a small problem. 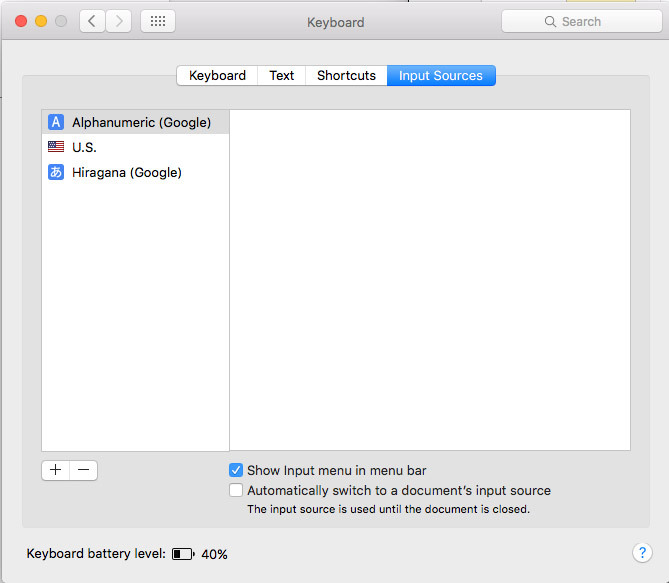 When you added the Japanese keyboard, it probably enabled another shortcut that conflicts with other programs. It's command + space. This filters through your language options, always going to the next one. If you're like me, you already use command + space for search programs like Spotlight or Alfred. 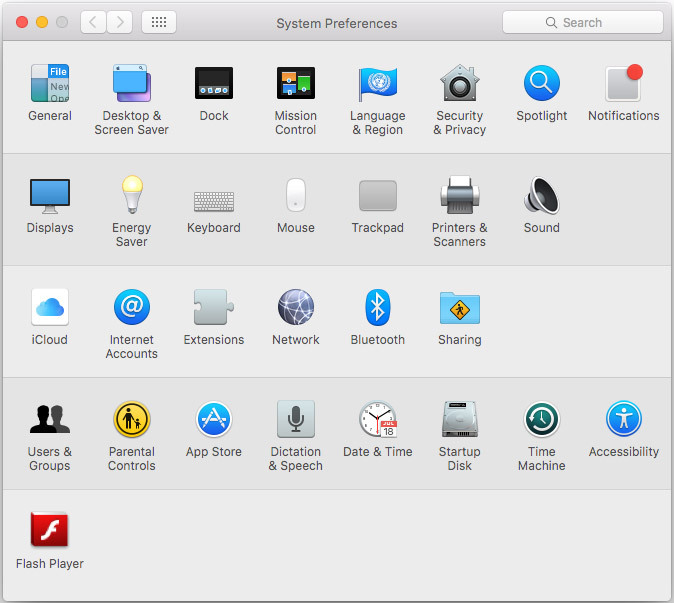 Go to back to System Preferences > Keyboard > Shortcuts. Once in shortcuts click on Input Sources. Or, instead of unchecking them, change the inputs to something you aren't already using. And that's it! 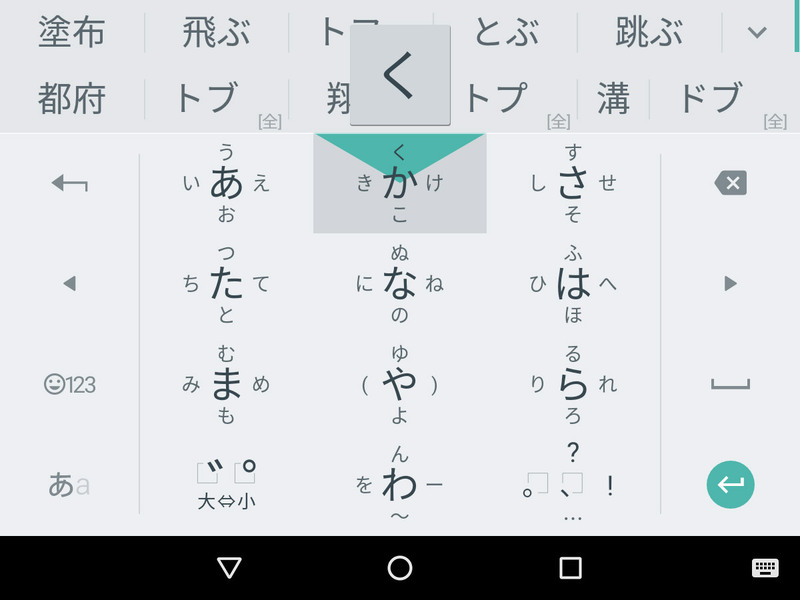 Now you have an easy to use Japanese keyboard at your fingertips! 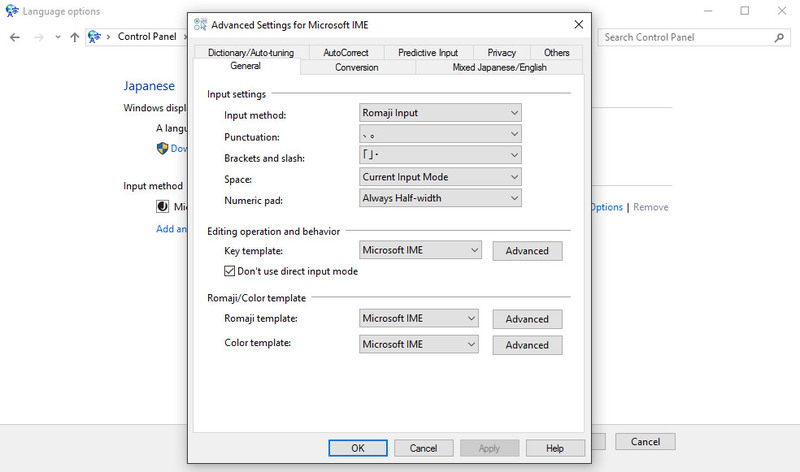 Installing Japanese input on Windows 10 may feel more complicated at first, but it's quite easy once you do it. Let me walk you through. 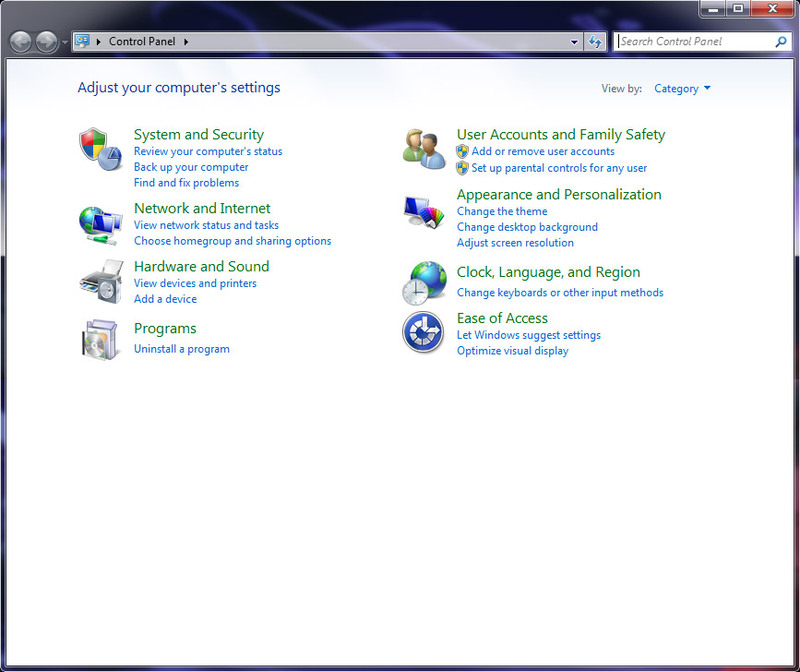 First, click on the little Windows symbol (the one that replaced the old Start bar) in the bottom left corner. 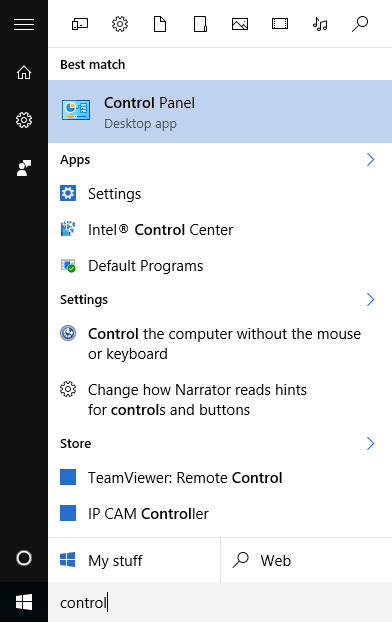 Type control panel into the search bar and click on the app. 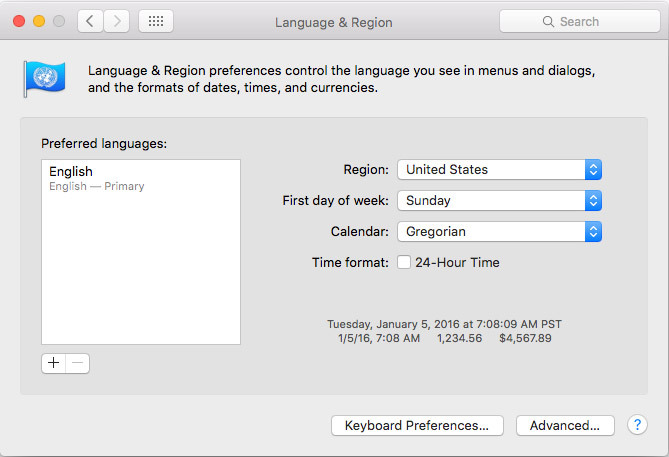 Go to Add a Language under Clock, Language, and Region. Next click Add a language. You'll see a bunch of languages in big boxes. Scroll down until you reach 日本語 (Japanese) and click Add. 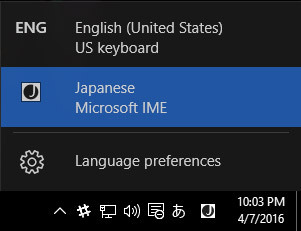 Now you have the Microsoft IME keyboard on your computer! 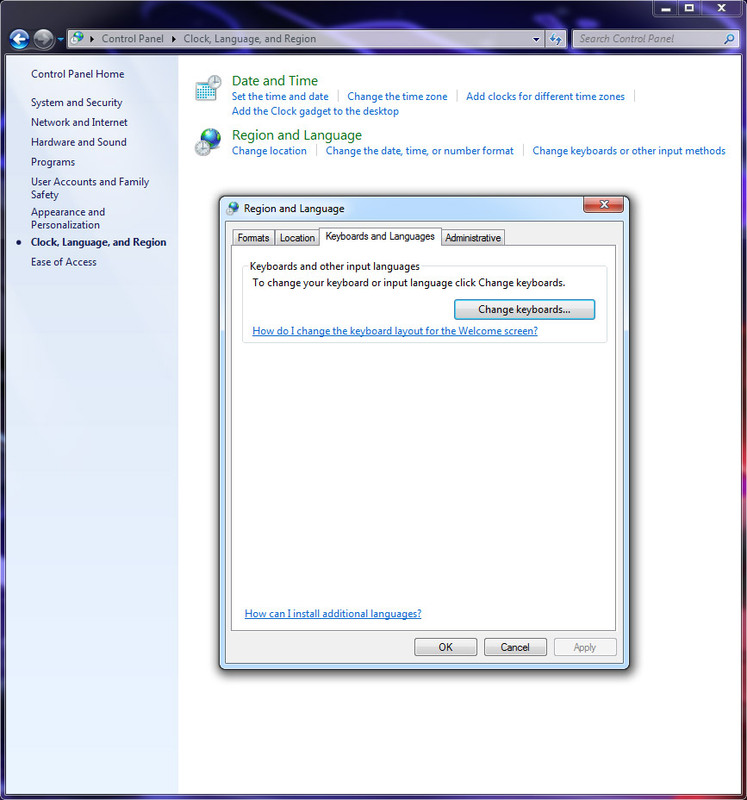 If you go into the options, you'll see that you can download and install language packs. But that's really only if you want to change the language of your OS to Japanese completely. We're not going to get into that here. 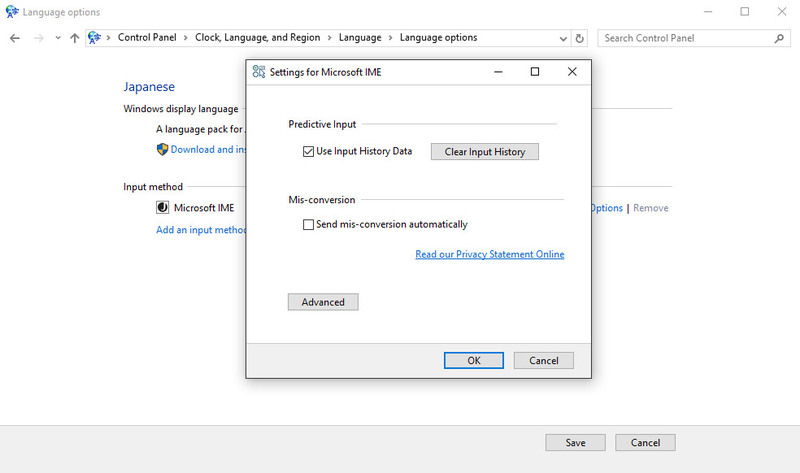 To check out some of your new language and keyboard options, click on Options under Input Method (Microsoft IME). Choose Advanced and look through all this neat stuff. No need to change anything, just take a look so you can customize it as you like. This will cycle between the two languages. You'll also be able to see what mode you're in at the bottom of the screen in your toolbar. And you can choose your input method by right-clicking on the A or the あ. 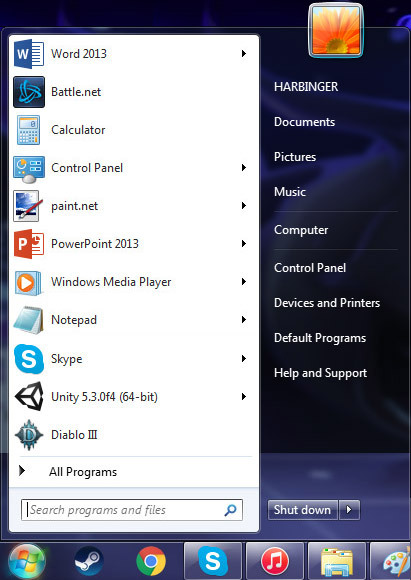 As an added bonus, when you use Windows you get this neat little option called IME Pad. 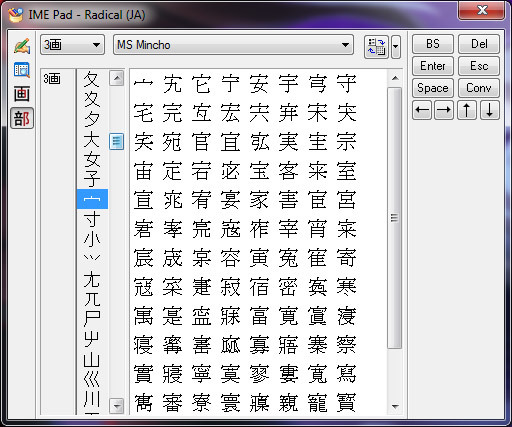 There are also tabs that let you look up kanji by radical. Or the number of strokes. Very useful for language learners! 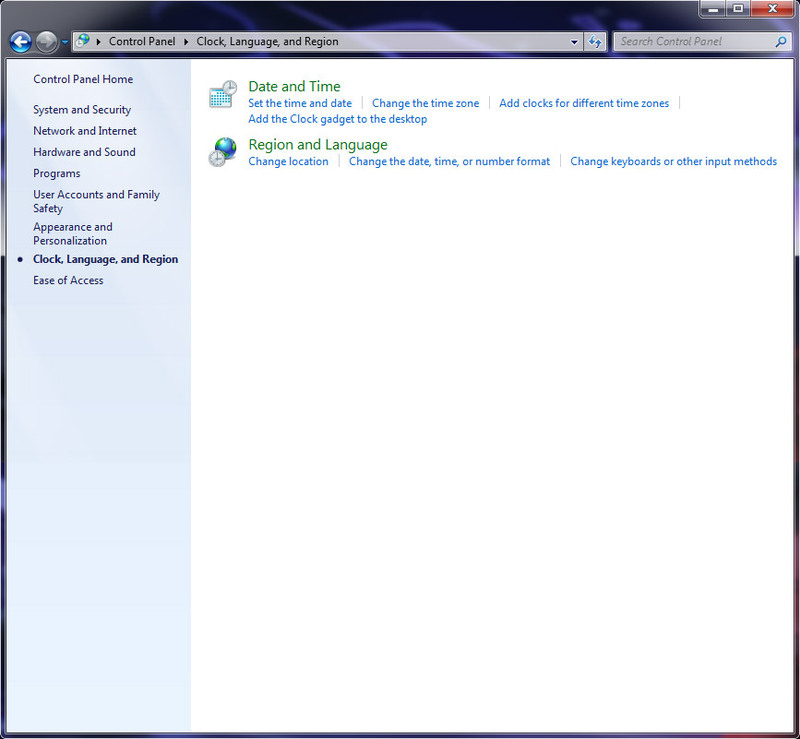 Go to Start or the little Windows Button and click on the control panel. 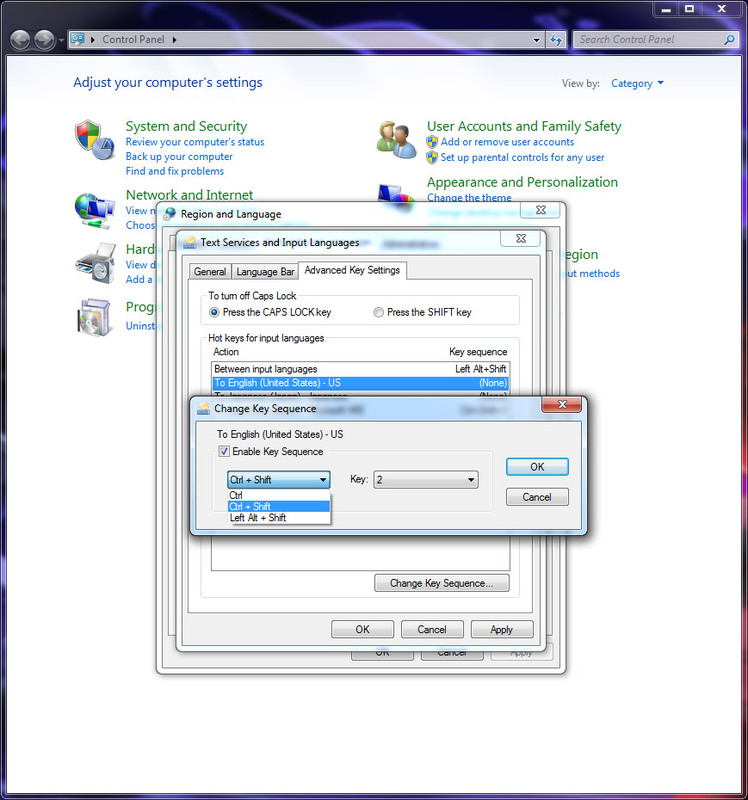 Click on Change keyboards or other input methods under Clock, Language, and Region. 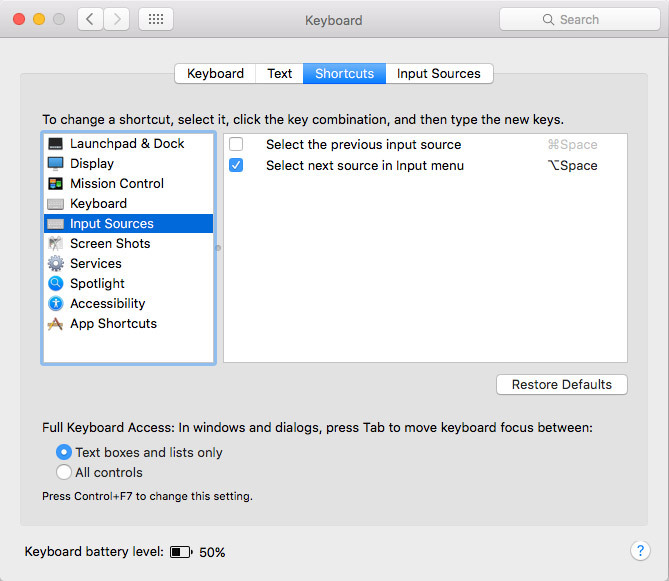 This will bring you to another menu where you choose Change keyboards or other input methods. 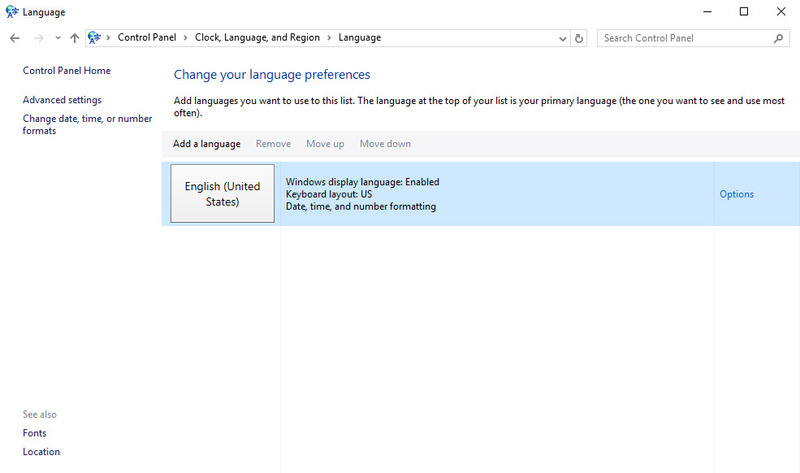 Make sure you're in the Keyboard and Languages tab and click Change keyboards. 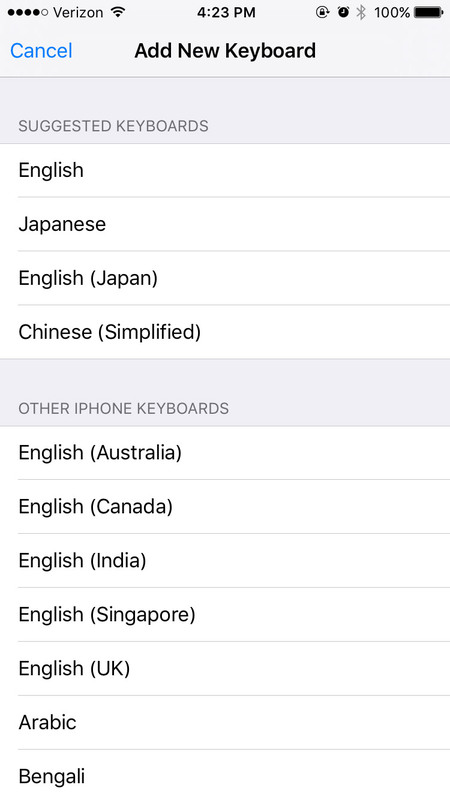 And scroll to the middle and expand the Japanese (Japan) option. You'll have a few options. 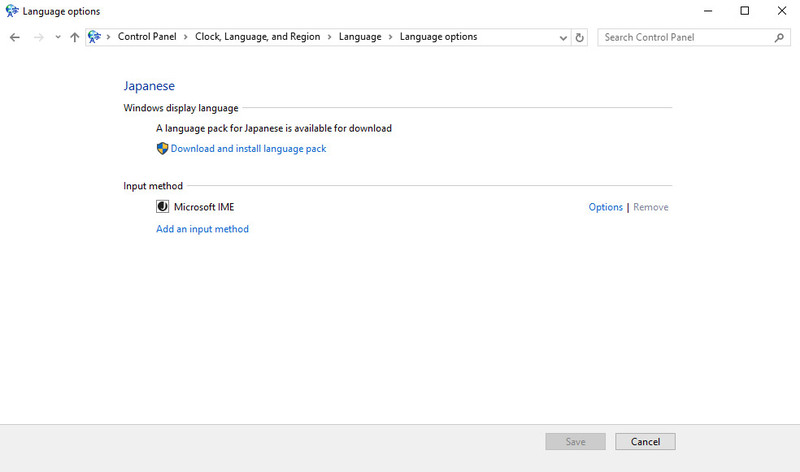 Choose Microsoft IME and hit OK. You can add Japanese too, if you'd like. Now Apply it and/or hit OK. This will add a little EN to the right side of your toolbar. You can click on it to switch between English and Japanese. When you do switch to Japanese it will automatically put you into Alphanumeric mode, which isn't very helpful since you want to be typing in Japanese and not English. 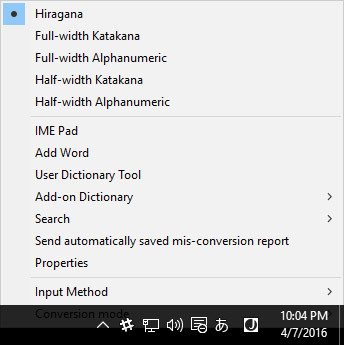 Click on the A to change it to Hiragana. And the A will change to あ. That's how you know your Japanese input method. 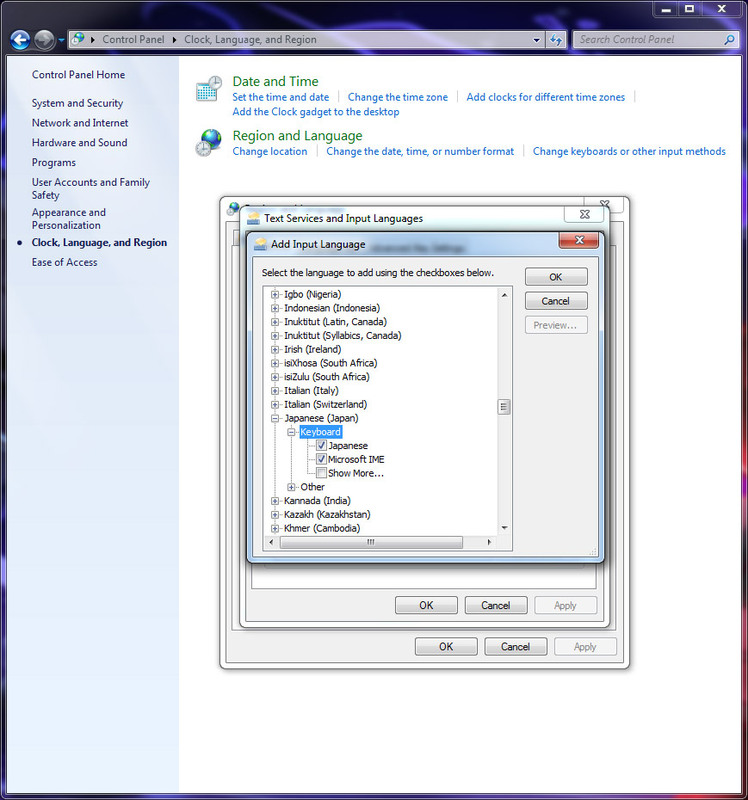 If you have trouble with all your language options being smooshed into your toolbar, you can go back to the language menu and choose Show the Language Bar. This will open up a movable bar with all your options attached to it. It also gives easy access to the IME Pad, which is pretty much the same as the one in Windows 10. You can draw kanji to look them up. Look up kanji by radical. And by number of strokes. 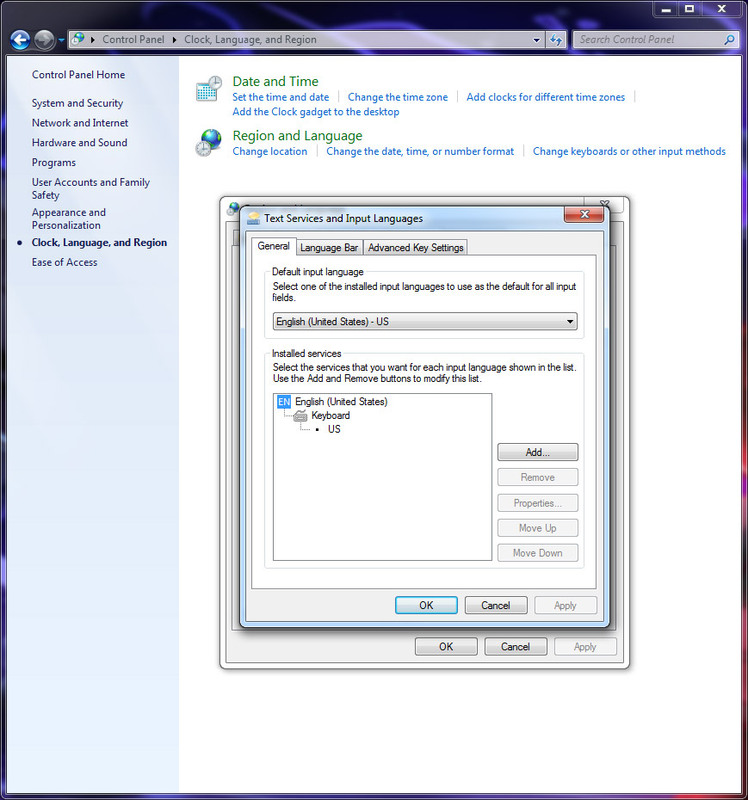 Like Windows 10, Windows 7 has shortcuts automatically assigned to switching between your languages. 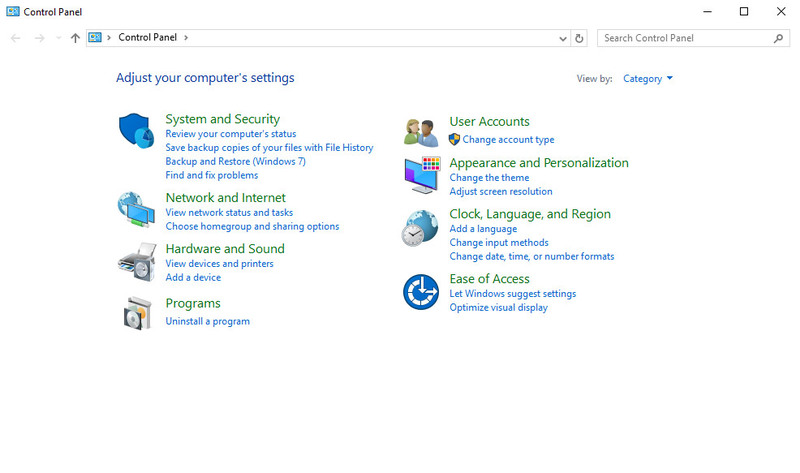 Go back to control panel > Change keyboards or other input methods > Change keyboards. Now here's where things get different. 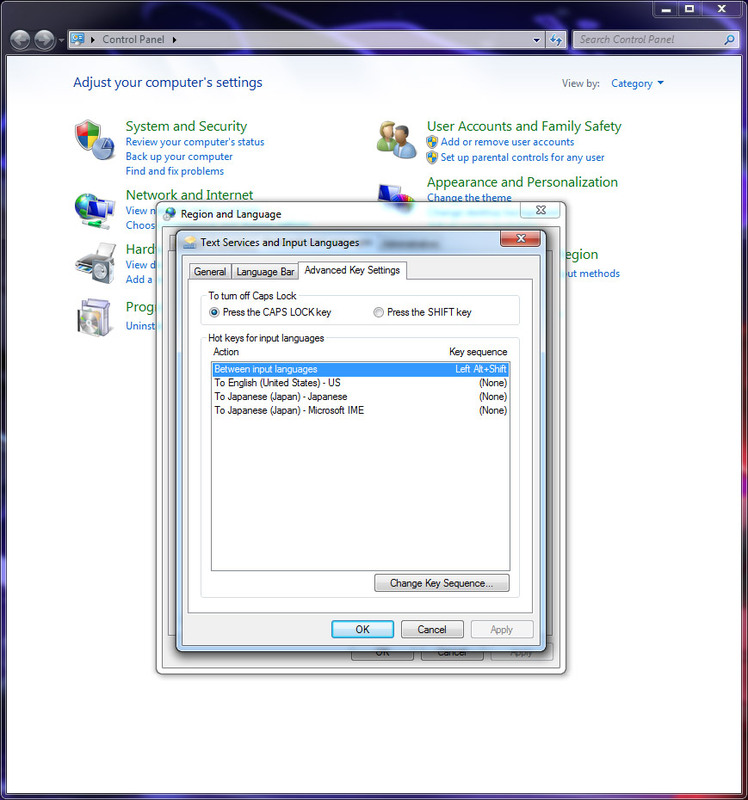 Go to the Advanced Key Settings. 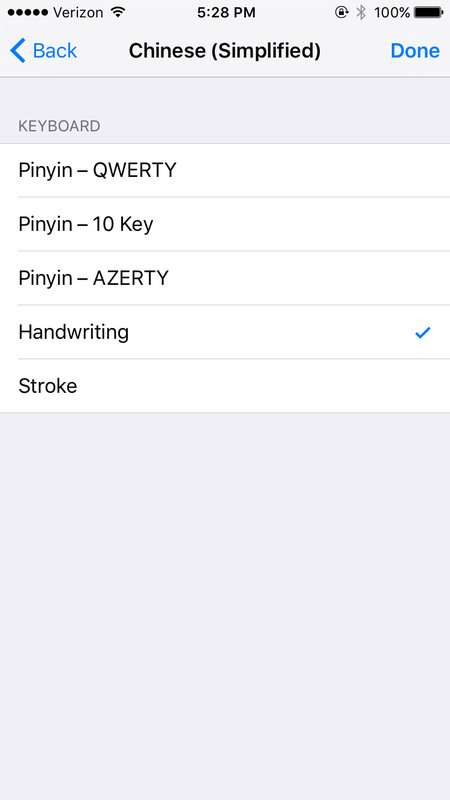 And select whichever language you'd like to change the shortcuts for. You only have a few options. 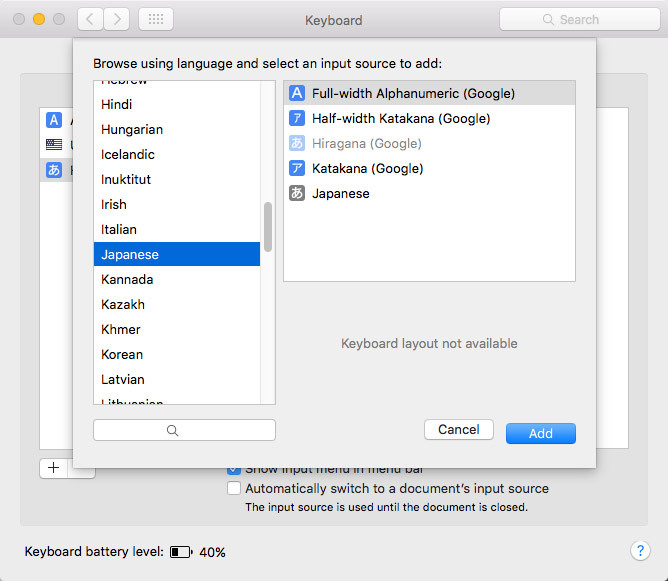 These can be really helpful if you're typing in more than 2 languages. For example, if you're writing a paper using English, Japanese, Korean, and Mandarin, this can help make the process much less frustrating. But you should be careful. If any other shortcuts (which may be default on your computer) are the same as the shortcuts you're making, they won't work. 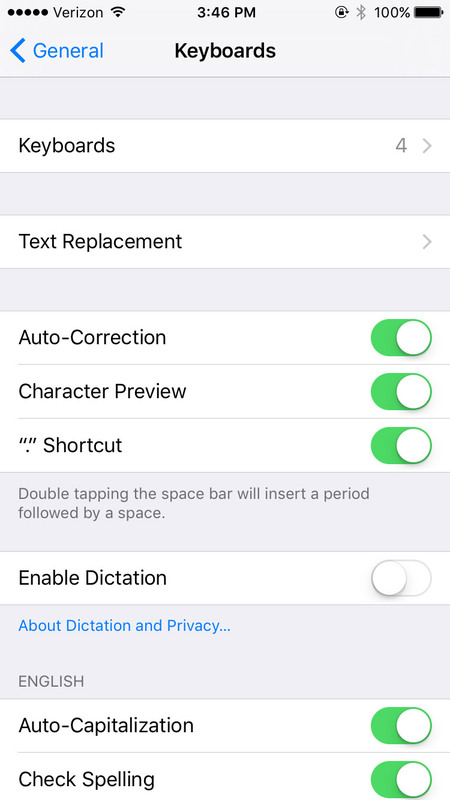 So it's probably best to stick with the default cycle shortcut if you aren't dealing with 3+ language keyboards. 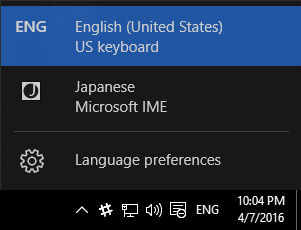 It's the future and installing a Japanese keyboard is easy-peasy! Well, mostly. But once you learn how to do it, you'll have opened a whole new world of fun. 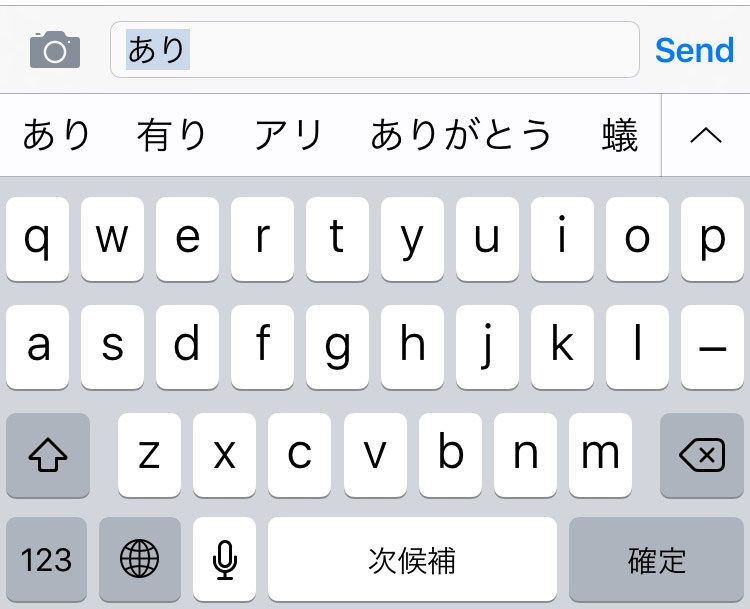 Installing Japanese keyboards on your iPhone or iPad is a breeze. 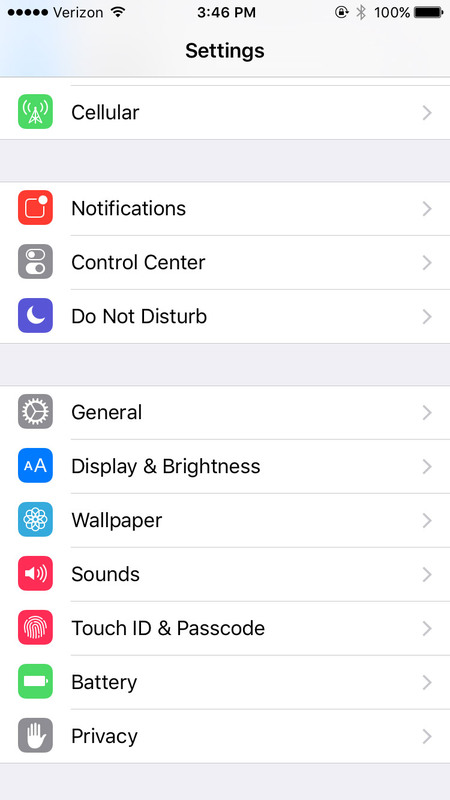 These instructions will (or should) work for all current iOS devices. If you've installed the emoji keyboard, then this should be very familiar. If you haven't, then follow these instructions but switch out Japanese for Emoji, and you can thank me later. 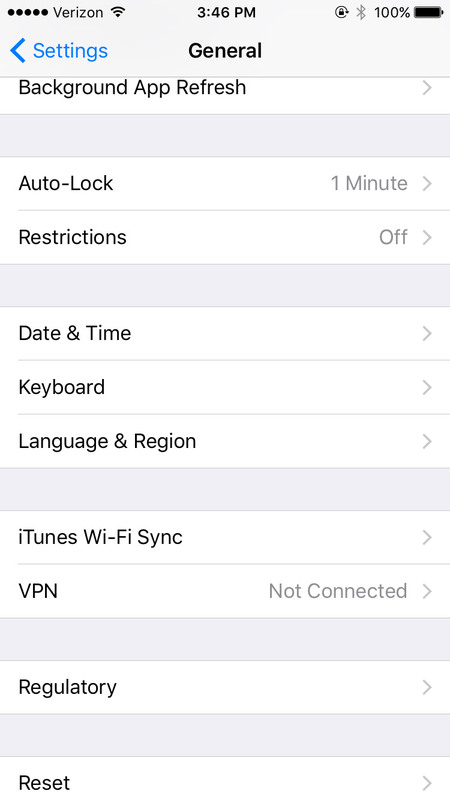 First, go to your Settings and click on General. And then Keyboards with an s.
You'll see a list of the keyboards you already have installed. 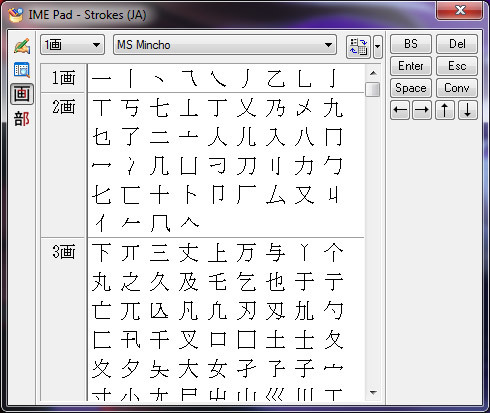 Now choose Kana and/or Romaji and Done at the top right. That's it! To use it go to your messages and start as you normally would. But now you'll see that there is a new symbol, this little globe circle. 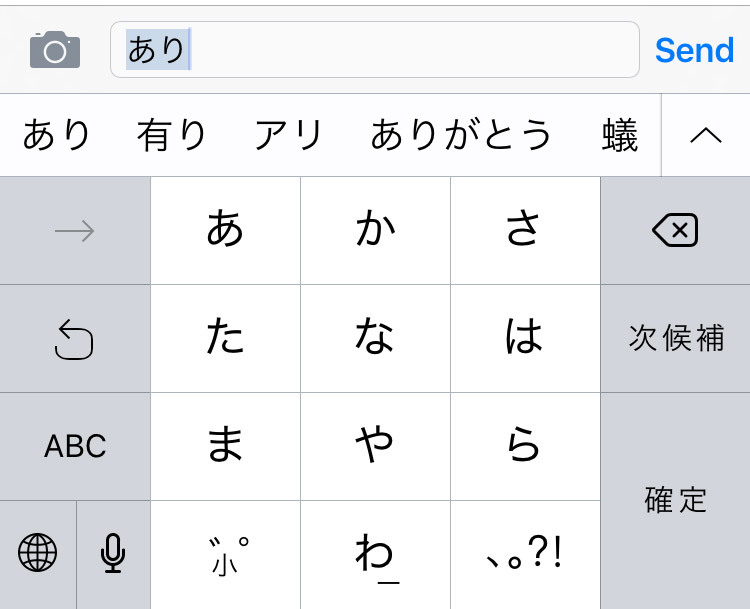 It will switch to the next (or whatever it thinks you want) keyboard, which should be Japanese! 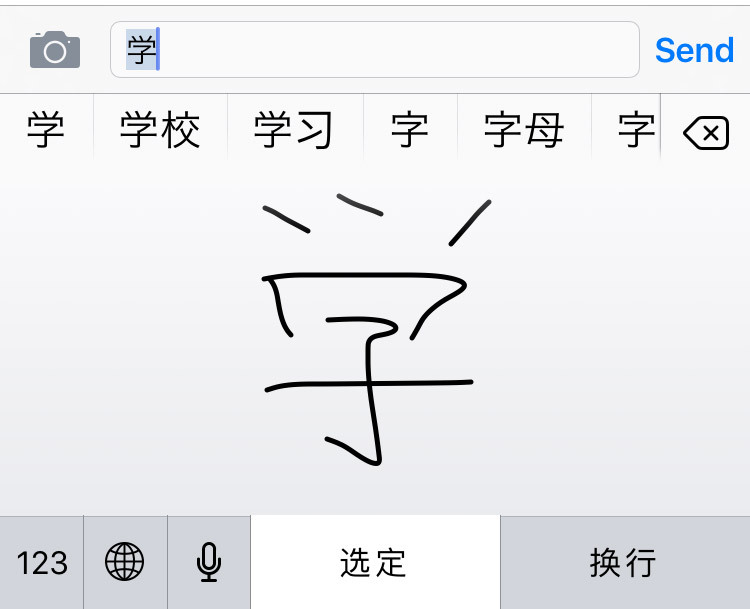 Want to quickly look up kanji on your phone without using an outdated app, waiting for your browser, or having to pay for a drawing tool? We've got a hack for you! 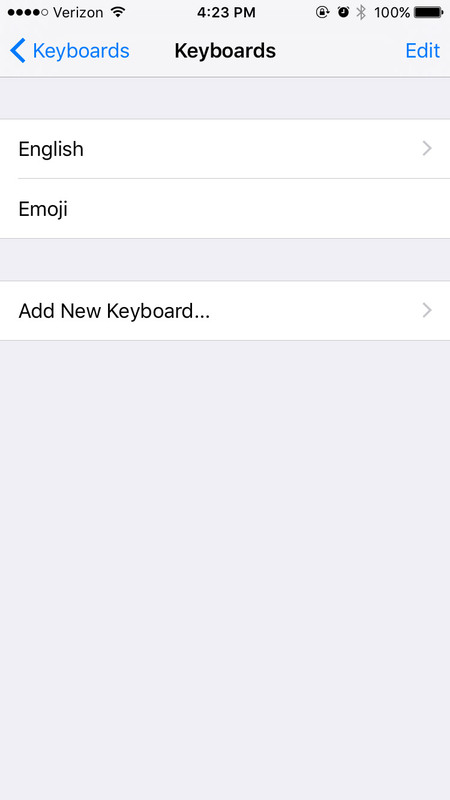 Follow all those iOS keyboard instructions above, but stop after you hit the Add New Keyboard step. Instead, scroll down until you reach Chinese (Simplified). Then under the keyboard choices choose Handwriting. 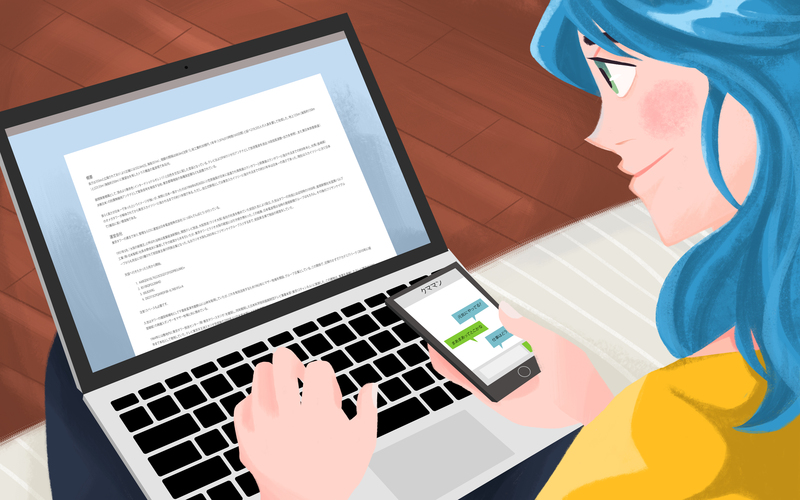 Now you have a new keyboard option that opens up a drawing IME. It may be for Chinese, but remember a ton of Japanese and Chinese characters are shared. And it works for both! This works when you're texting your friends and trying to look up or save a kanji to look up later on. 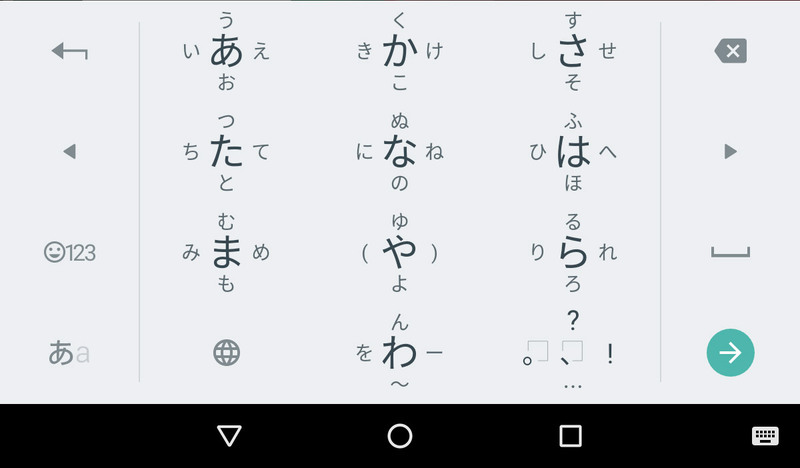 Even better, it doesn't care about stroke order like most Japanese apps. 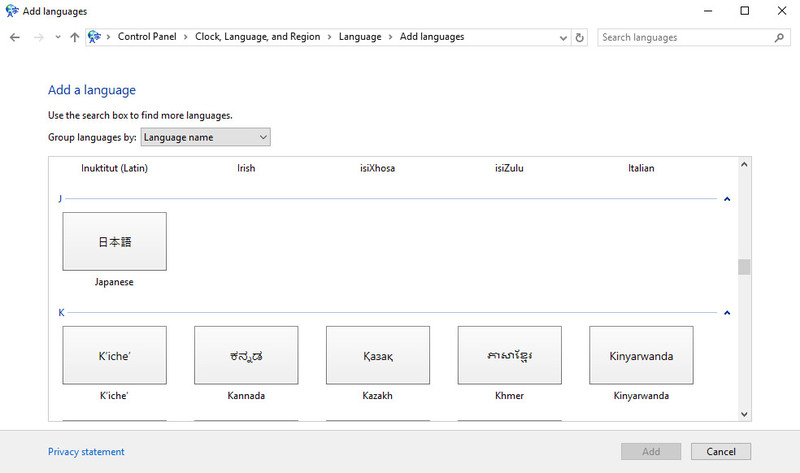 And it doesn't use the same database as most Japanese - English dictionaries (Jim Breen, Jisho.org, Tangorin, etc.). Also you don't need an internet connection to use it! Handy, right? For non-Apple people, there's only one way to go. 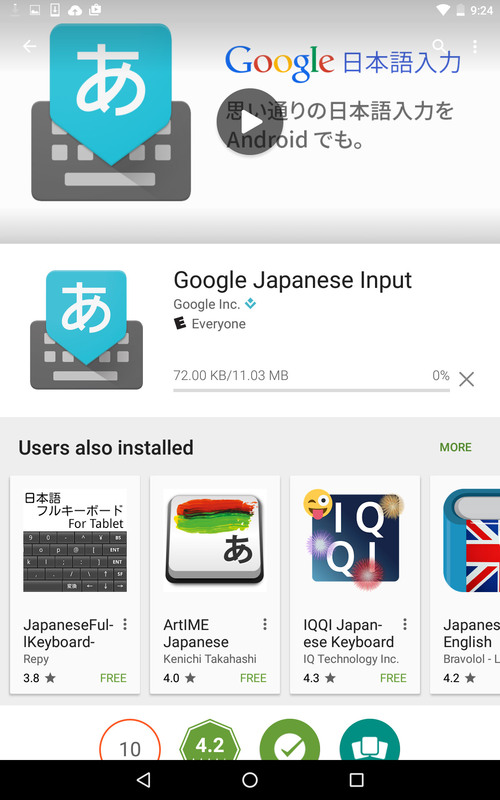 Time to look at installing Japanese keyboards on Android. These instructions will (or should) work for all current Android devices. 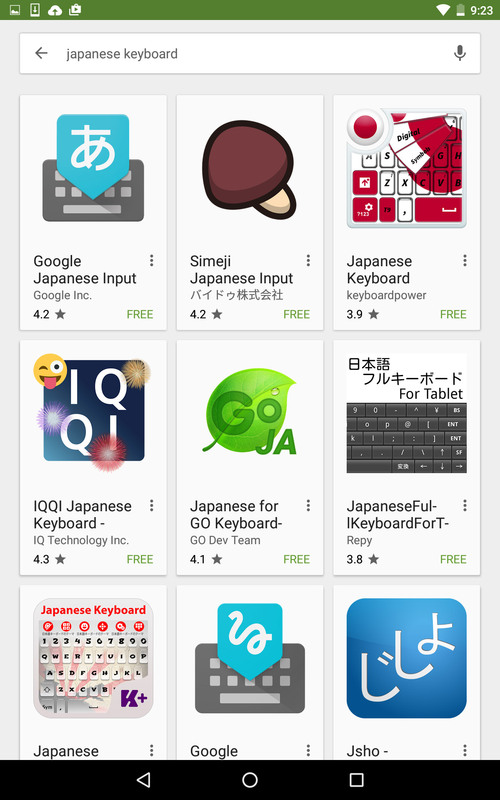 First, you need to download a Japanese keyboard. To do this open the Play Store. 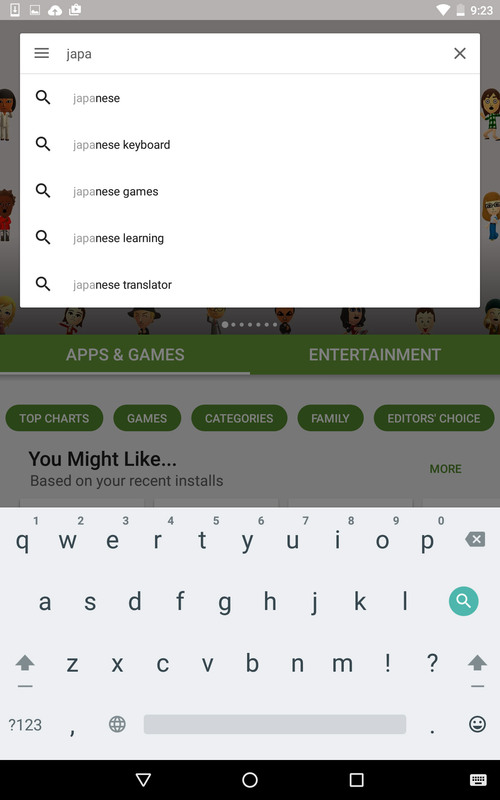 Then in the search bar type in japanese keyboard. 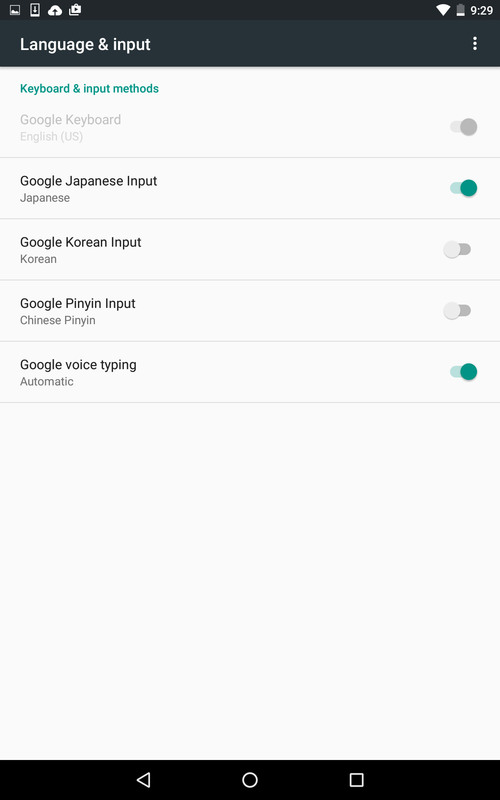 The first option will almost definitely be the Google Japanese Input app. This one is free and easy to use so let's INSTALL. Give it permission and download that baby. Open it up and give it more permissions, but only if you feel okay doing that. It's important to read the terms of service, y'know. If you go through the setup instructions it should put you in the Language & Input section of your device and turn it on! 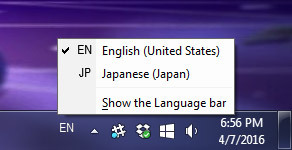 Now when you go to type you can click the (new) little globe near the bottom left to switch to Japanese. You tap and pull toward the character you'd like to input. 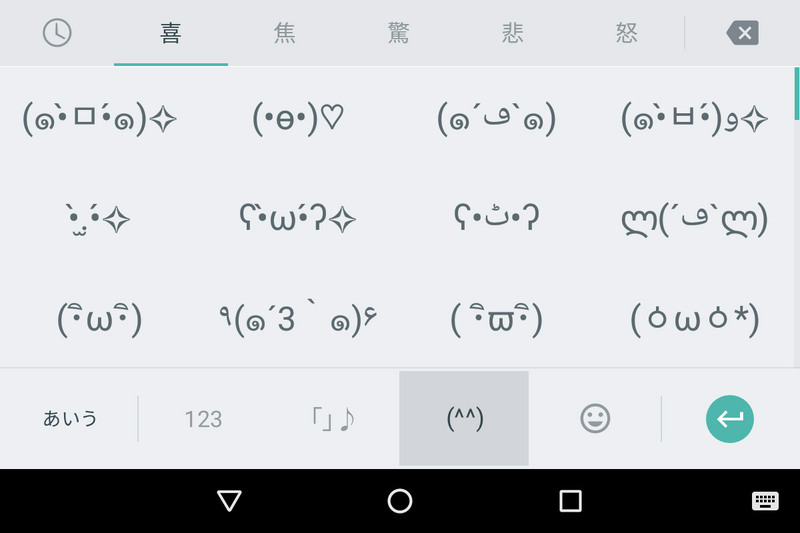 And even better, there is a kaomoji keyboard built in! 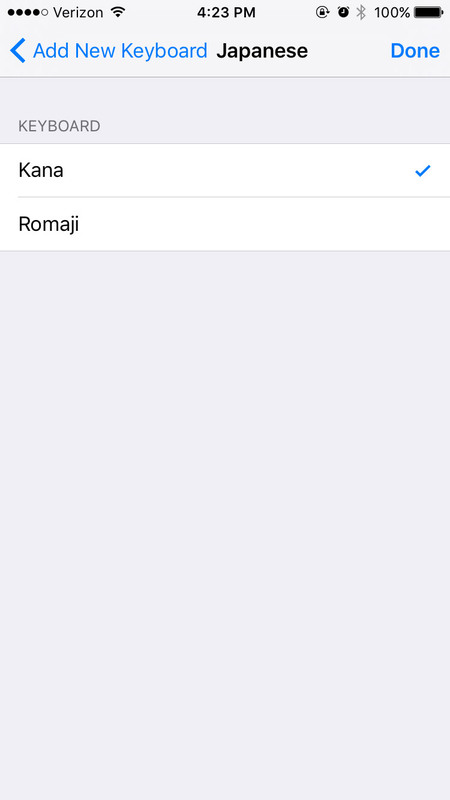 And of course, you can switch to Alphanumeric mode without having to go back to your other keyboard, but it's in the old phone texting style. 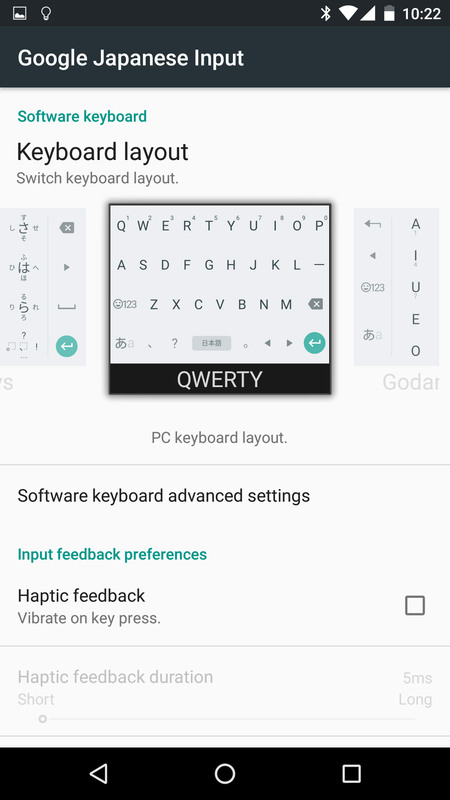 If you don't like the 12 keys keyboard layout, just switch to romaji or "QWERTY" layout. 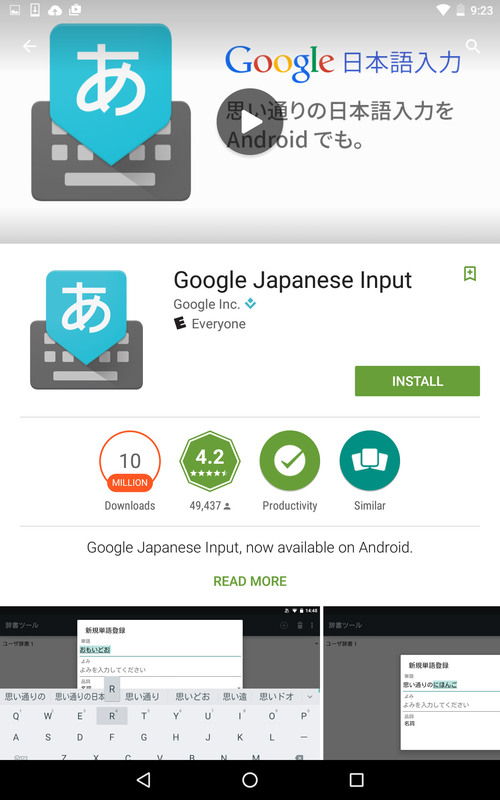 To do this, open your apps folder and tap the Google Japanese Input icon (but note that the name is too long for the icon so it appears as Google Japan..). Keyboard layout is right at the top. 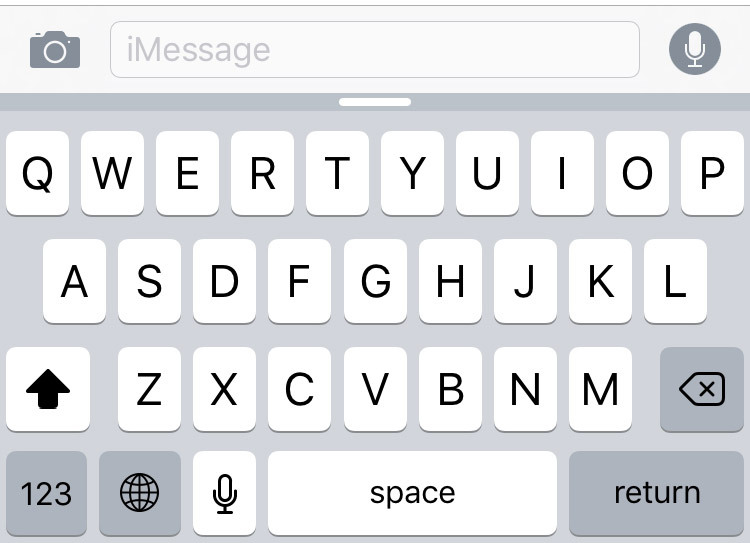 Slide and tap the large QWERTY icon. 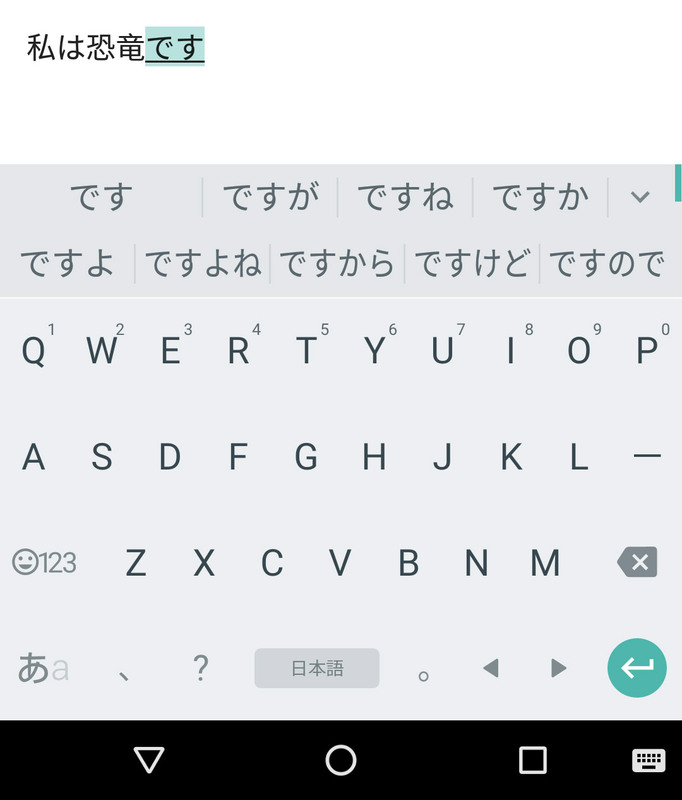 Now you can type Japanese with a desktop keyboard layout on Android. And there you have it! 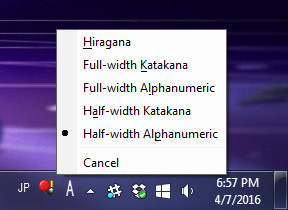 You know how to install Japanese keyboard inputs. More than you ever dreamed. But what to do with them? 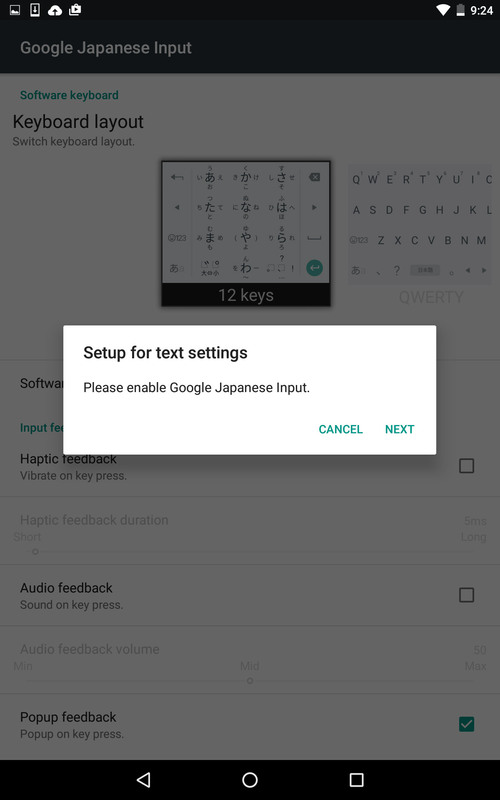 Keep an eye out for Part II, where we teach you how to type in Japanese, using the keyboards you just installed. See ya then.